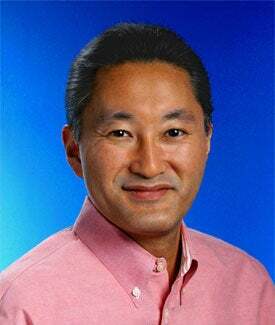 Sony Computer Entertainment CEO Kaz Hirai will continue to oversee Playstation in his new role as the head of the Networked Products and Services Group. Earlier this morning Sony announced a major restructuring of their company, with Sony CEO Howard Stringer being named president of the company and the formation of two new groups within the company, the New Consumer Products Group and the Networked Products and Services Group. As head of that latter group, Hirai will oversee the Walkman lines, Sony Media Software and Services, which develops a common service platform across Sony products, and Sony Computer Entertainment. The goal of this new group is to "maximize the potential and pace of Sony's innovation and to enhance profitability." Integral to this process, Sony says, will be the utilization and expansion of the Playstation Network. What does that mean to gamers? It sounds like Sony is trying to do a better job of getting their different groups to work better together, which could mean greatly expanded Playstation Network offerings and some interesting product development. PSP phone? PSP Walkman? Who knows?